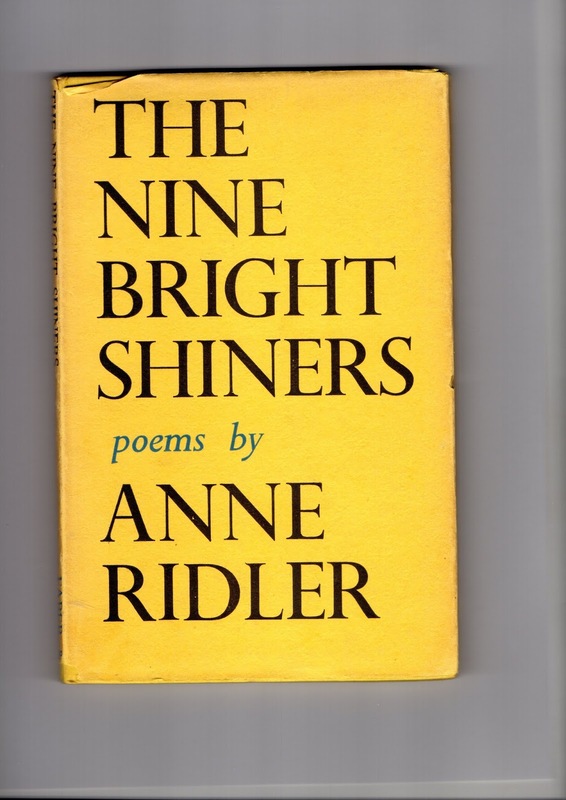 ‘Taliessin Reborn’ is a poem in three sections by Anne Ridler, first published in Poetry Quarterly (Winter 1942) and later in her collection The Nine Bright Shiners (1943). It was influenced by the first of two long Arthurian narrative poems of Charles Williams, Taliessin Through Logres (1938), continued in The Region of the Summer Stars (1944), which she may well have seen in manuscript. In my late teens and early twenties I searched for books about the mystical elements in the Arthurian stories, and these two titles alone were enough to beguile my imagination. They suggested journeys in strange domains of the spirit. Anne Ridler describes her poem as “a supplement” to the Charles Williams cycle, and in its phrasings and its modernist response to myth, it also echoes the work of T S Eliot, particularly in ‘The Waste Land’. Written in war-time, when the fate of Britain was still in the balance, it is in one sense a consolation for the times and a call to the continuing resonance of ancient archetypes. But it is not limited to its particular historic moment. In the second section we learn that the country “had long been visible” inland too, for those who could see, sometimes from towers, sometimes from hill-tops: “Some thought it a mirage and looked no more”. Others, however, recognised it for what it was: “the real map of England”, a spiritual and symbolic chart of which the Arthurian myths are only a dim remembrance (“jumble for poets, play for children, a spring of endless ink for scholars, and still lacked full meaning”). The third and final part brings the poem to the then present day: “So it was time that we saw it again,/And remembered that our footsteps echo in another world.” That need had been met, the poem suggests, by certain poems (those of Williams are meant but not named), “the mesh that drew the loud myth so close”. They cannot alone in themselves bring the great domain into being: “If any art could change us, or the strangeness of a myth/We should have altered long ago.” But because of them the presence of the kingdom is stronger among us, an “Invisible Knight”, a “holy ghost” even during a time of “seemingly wasteful and unforgivable pain.” And the poem concludes with a note of defiance and affirmation. This symbol and idea is also seen in Mary Butts’ vision of the Grail as a descent upon a tract of land, felt, known, if not fully seen, and in the glimpses of paradise in Arthur Machen’s stories such as ‘The Holy Things’, ‘A Fragment of Life’, ‘Opening the Door’ and ‘N’, as well as in the Grail novels The Secret Glory and The Great Return. And, to make now a great descent, as Machen once remarked, the idea has also been haunting my own recent stories. Not so long ago, I contributed a long story, not quite a novella, to Romances of the White Day (Sarob, 2015), alongside fine stories by John Howard and Ron Weighell. ‘Except Seven’, my piece, begins with a phrase from Anne Ridler’s poem: ‘Our footsteps echo in another world’, and it might be said the poem haunts the whole story. The work was inspired by a journey through certain quiet roads of the English-Welsh borderland, which led to an old stone church sheltering inside it a Roman altar to an otherwise unknown god. There was another element that went into it, allusively, which was the idea of a ‘lineage of the Grail-Keepers’. I did not know then, but have since found, that in the ancient Welsh Triads, so wonderfully researched and translated by Rachel Bromwich, there is one that speaks of a ‘lineage of the saints’ in Britain, the first of whom is Joseph of Arimathea – a very early appearance of this tradition. But the particular focus of the story is that mysterious, never to be unravelled, poem by Taliessin, ‘The Spoils of Annwn’, and so the tale makes its own dim, shaded way alongside the ideas in ‘Taliessin Reborn’. In the following year, I contributed another long story to a second shared volume with John and Ron, Pagan Triptych (Sarob, 2016). This, too, is haunted by Anne Ridler’s poem. ‘The Fig Garden’ includes a character who wants to catalogue and conserve places where, again as Machen put it, ‘the veil is thin’ between the worlds. “The real map of England would be worth reading, don’t you think?” suggests Anthony Scamander. The first five words are a phrase from the poem. There is a subtly strange passage in the journals of Mary Butts, when she was living at Sennen, in the far west of Cornwall. She talks about Sancreed, a village not far from her, as a place prepared for the presence of the Grail. She senses that something powerful is struggling to be born there. This jolted me when I read it, because I still carried the remembrance of when I walked there one hot day in my twenties, and felt, and could not forget, a definite sense of otherness. And another mystical author, Ithell Colquhoun,in her The Living Stones of Land’s End, had also noticed this. “It is difficult to describe the subdued weirdness of Brane,” (a hamlet next to Sancreed) she says, and devotes several pages to its strangeness. We should not over-rarefy the place. It is still fully in our usual world. Indeed, I was amused and delighted to find, when I consulted a book about its local history, that it was chiefly known for its inhabitants' keen interest in pigs, and in cricket: both very excellent things. Even so, to take only one instance, its church has a carved rood screen of distinctly interesting mythic figures. There is to come a story, not in the series of longer pieces but standing at an angle to them, in which I try to explore some element of the mysteries of Sancreed, and these figures make their appearance. "Our footsteps echo in another world"
"...to-morrow a stranger will say with masterly good sense precisely what we have thought and felt all the time." 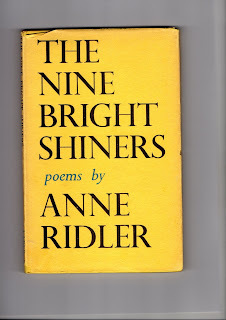 In any case, a tome hard to come by, i suppose, mrs Ridler's?